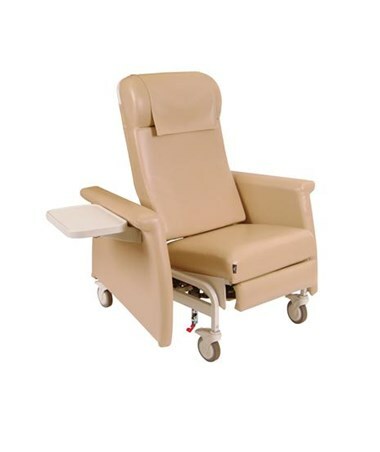 The Winco 6940 Swing Away Arm Carecliner has many innovative concepts that make it one of the best-selling clinical chairs. With wide full support, uni-directional elastic band suspension system integrated into the seat andback frame, this chair provides exceptional comfort. Standard Trendelenburg release on back has handles accessible from either side of the chair. The dual non-porous blow molded fold down side trays comes standard on each recliner. 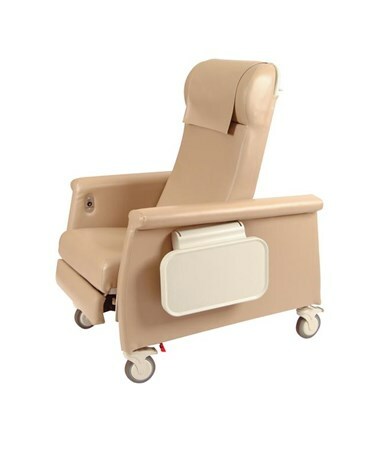 This Swing Away Arm CareCliner features dual swing-arms, allowing patients with limited mobility a modified entry. Also, LiquiCell has been added into the seat for extra comfort. This ultra-thin, liquid-filled interface aids in improved blood flow, and helps prevent skin breakdown. 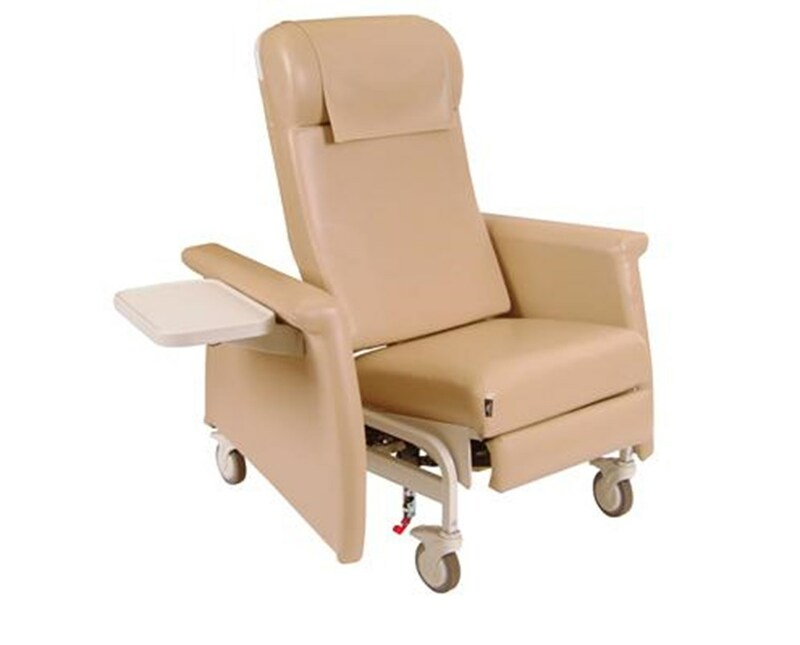 If you're looking for ease of use, the Winco Swing Away Arm CareCliner is what you are looking for! The non-porous fold down dual side trays contains small spills and the swing arm release lever allows for easy entry and cleaning. This chair also features nylon total-lock and directional-lock casters for ease of maneuverability. The convenient release on the back of the Winco 6940 CareCliner allows for four position; upright, two reclining position and Infinite or Trendelenburg. The Swing Away Arm CareCliner has a 350 pound weight capacity and meets Standard Fire Safety specifications. The *6940 CareCliner has a few options to better serve your needs. Please customize your CareCliner from the drop down lists on the right side at the top of the page. 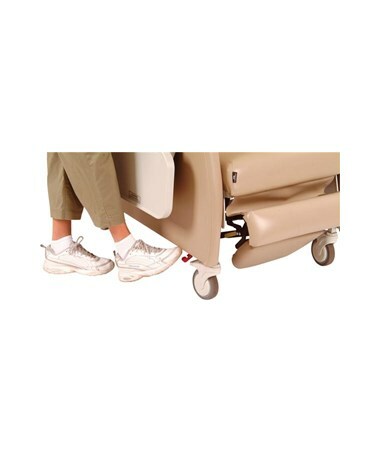 This option allows your fully upholstered *6940 CareCliner to have an IV Pole that easily attaches to the chair. Please use the drop-down list at the top of the page to select whether or not to include this option. Machined from a single piece of solid steel, these leg extensions are strong and durable. The extensions attach to the casters on your CareCliner to raise your chair 3" higher from the ground. Please use the drop-down box at the top of the page to select whether or not you would like to include this option. 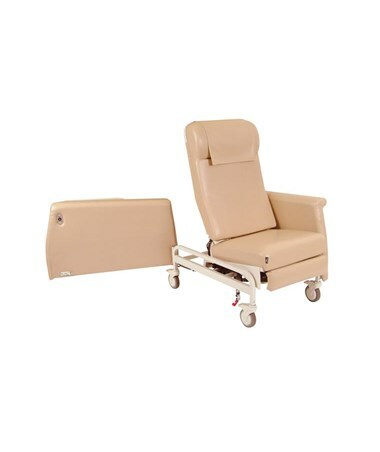 All Winco *6940 CareCliners meet Standard 117 Fire Requirements. If you would like the optional TB-133 which meets the requirements for California Technical Bulletin 133 -Flammability Test Procedure for Seating Furniture for Use in Public Occupancies, please note your preference in the 'Special Instructions' when you place your order and One of our friendly sales representatives will contact you regarding pricing.